Whale researchers say an endangered species of whale is experiencing a mini-baby boom in New England waters. 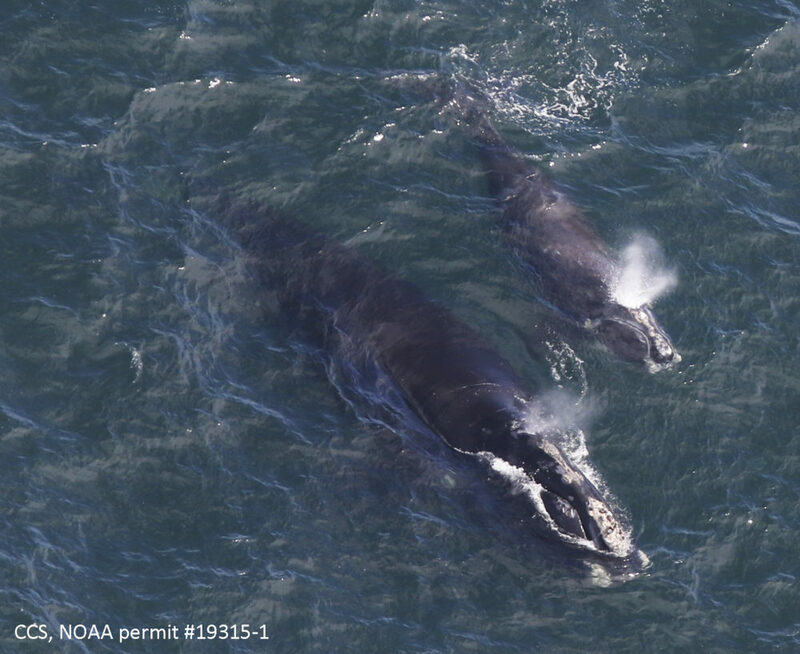 The Center for Coastal Studies in Provincetown, Massachusetts, said Friday its aerial survey team spotted two mom and calf pairs. The whales were seen in Cape Cod Bay on Thursday. That brings the number seen in New England waters alone this year to three. That's big news because the whale's population has been falling, and no calves were seen last year. The whales give birth off Georgia and Florida in the winter and travel to feeding grounds off New England in the early spring.